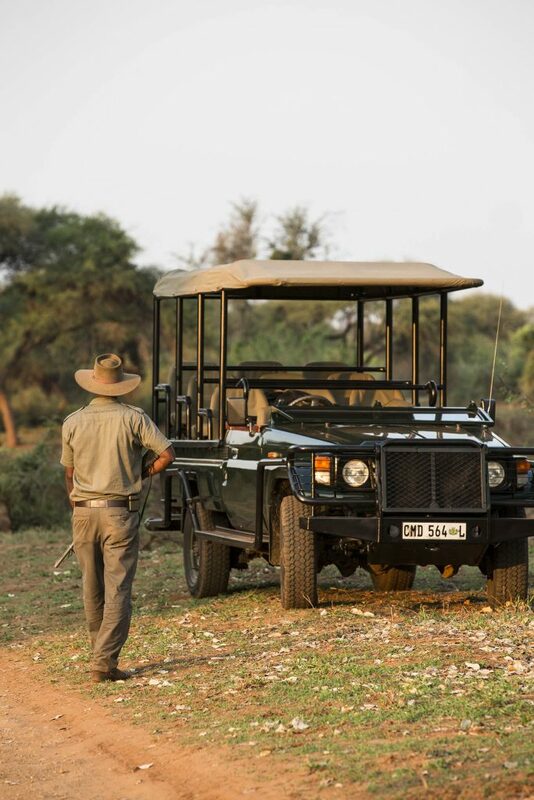 Accompanied by experienced guides, explore the remote Pafuri area of the Kruger National Park on foot. 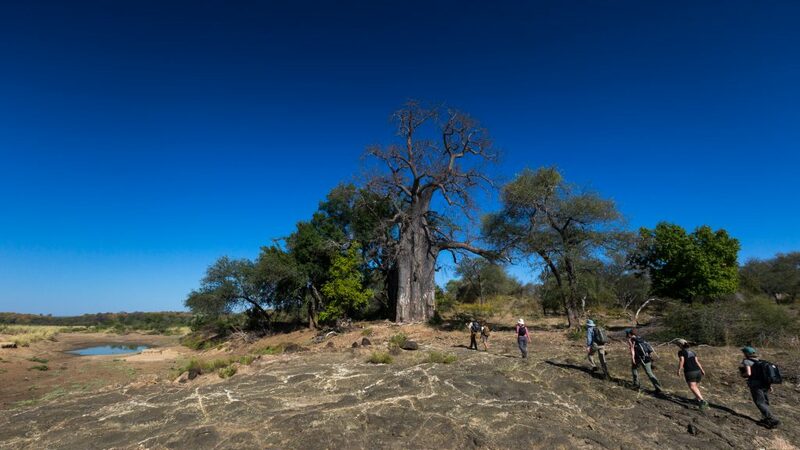 Take in the small residents of the Park, as well as the Big Five, as you wander through groves of fever trees, towering baobabs, and lush riverine forest. 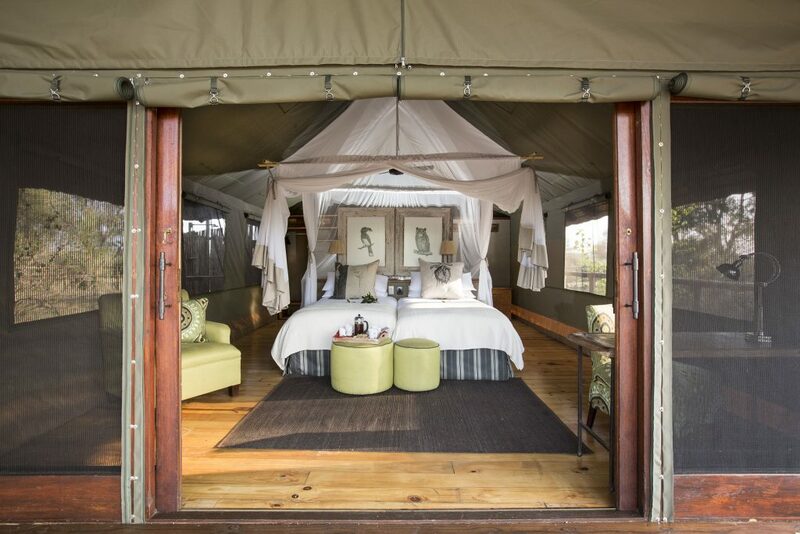 Nights are spent in the seasonal bush camp on the banks of the Luvuvhu, and you will spend your days walking (4 – 5 hours a day), and on game drives. 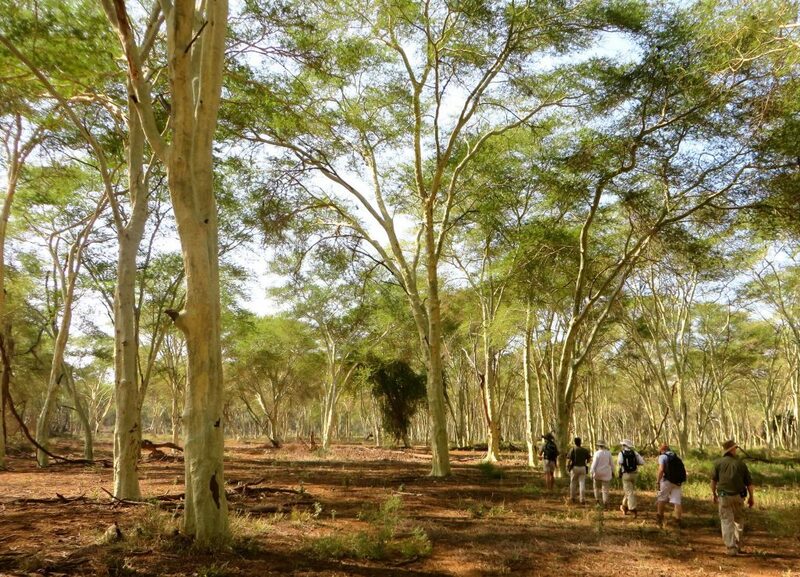 Walking in the Kruger National Park is an experience not to be missed, and allows you a true sense of the beauty and biodiversity of this magnificent reserve! 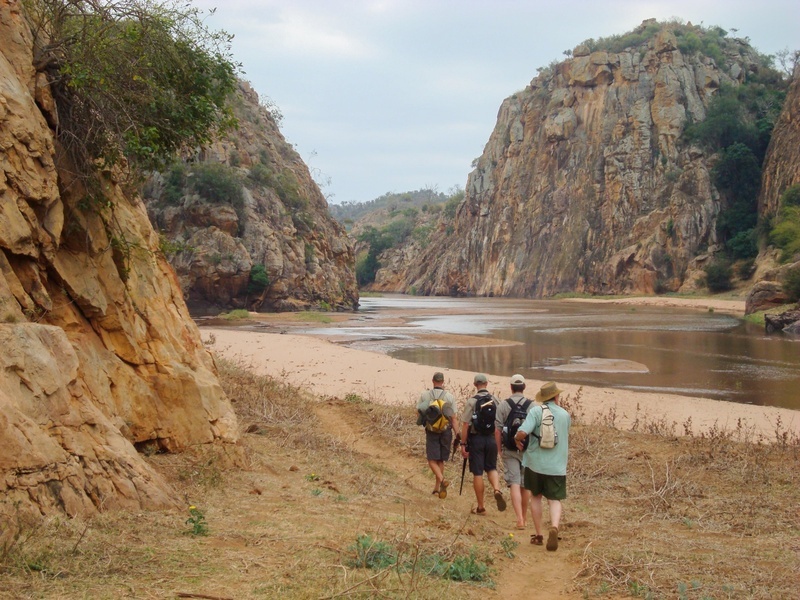 The Pafuri Walking Safari can also form part of a greater South African tour, including the stunning Garden Route and the always beautiful Cape Town. 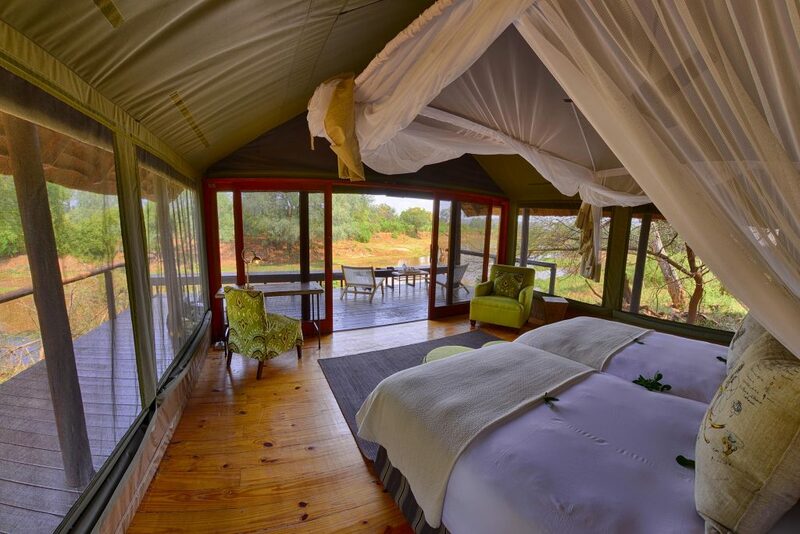 Contact us for a tailor-made safari. 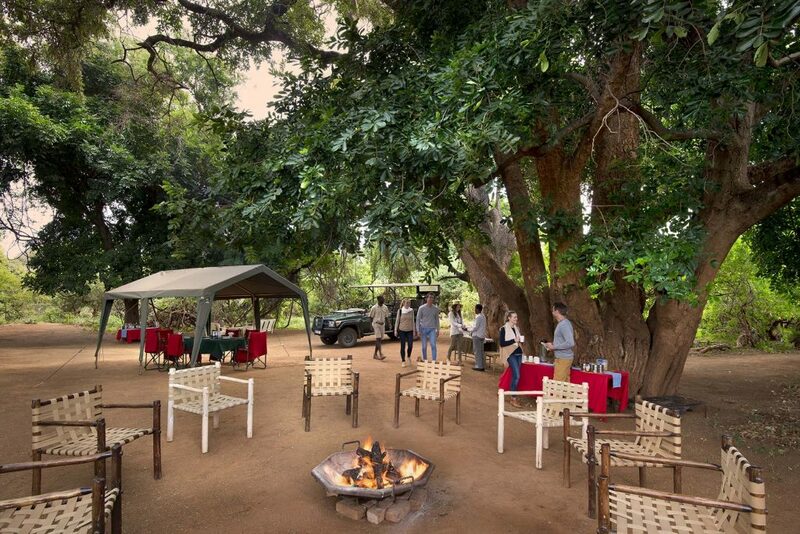 You will check in and meet your guide at Pafuri Camp, and will then transfer by 4×4 vehicle to the trail camp, a rustic bush camp on the banks of the Luvuvhu River. 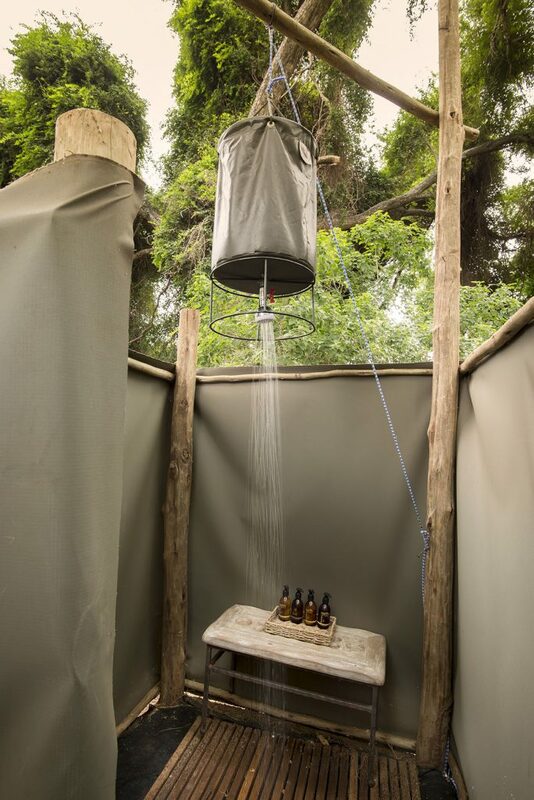 Your accomodation will be in one of four sahara style canvas tents, with en-suite eco-toilets and separate bucket showers. At night light is provided by lanterns and crackling fires. After a short walk in the afternoon, you will watch the sun set and sit around a fire. listening to the many sounds of the African bush. 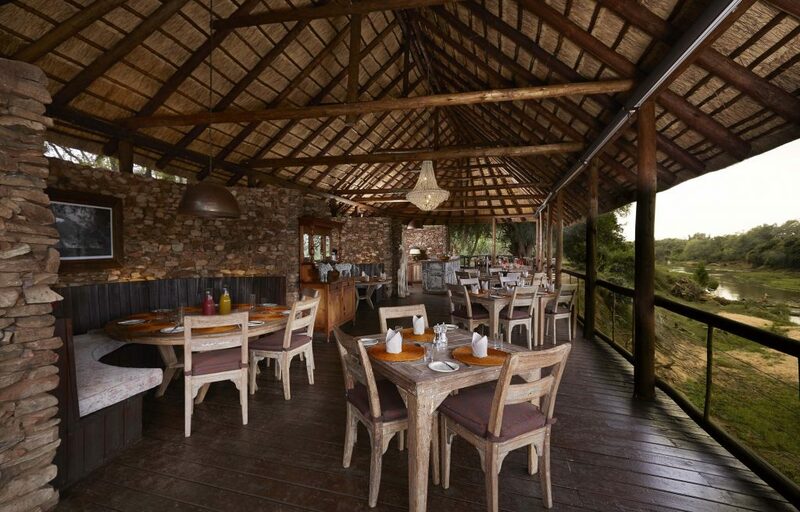 On day two and three you will wake early, and after a light breakfast, head out on foot into the Pafuri wilderness. 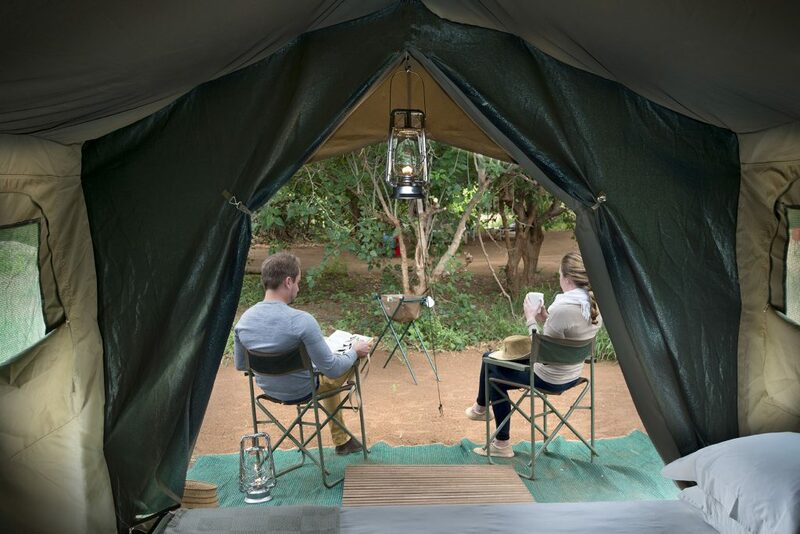 We head back to camp in time for a hearty brunch, some time to relax, and then another walk in the afternoon, or game drive. 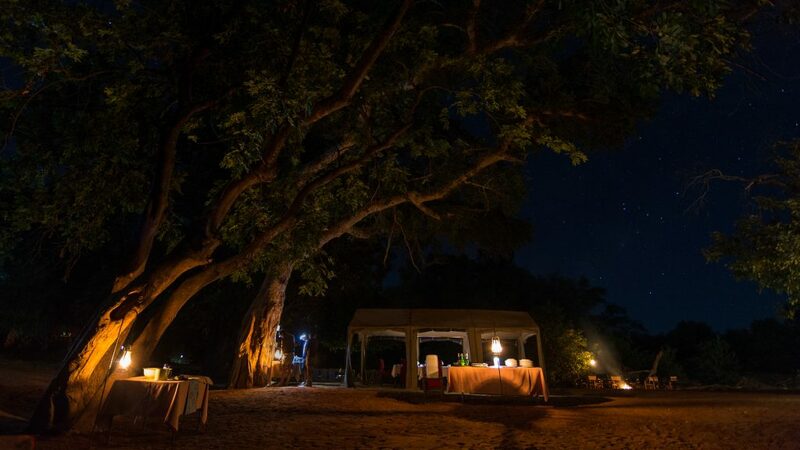 Enjoy dinner under the bright African night sky, with tales of the day’s sightings around the camp fire. We set out on foot early in the morning for one last walk in the bush, before heading back to our trails camp for brunch. 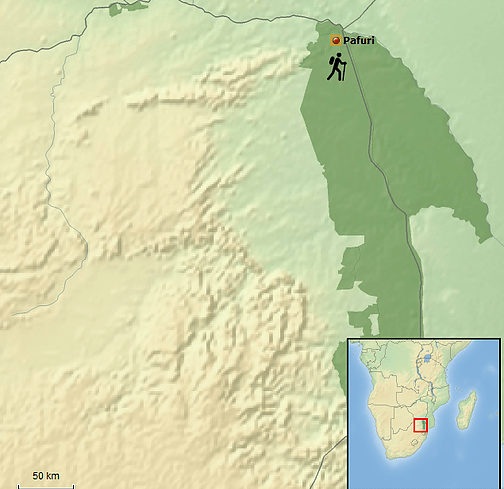 You are then driven by 4×4 to Pafuri Camp in the early afternoon. 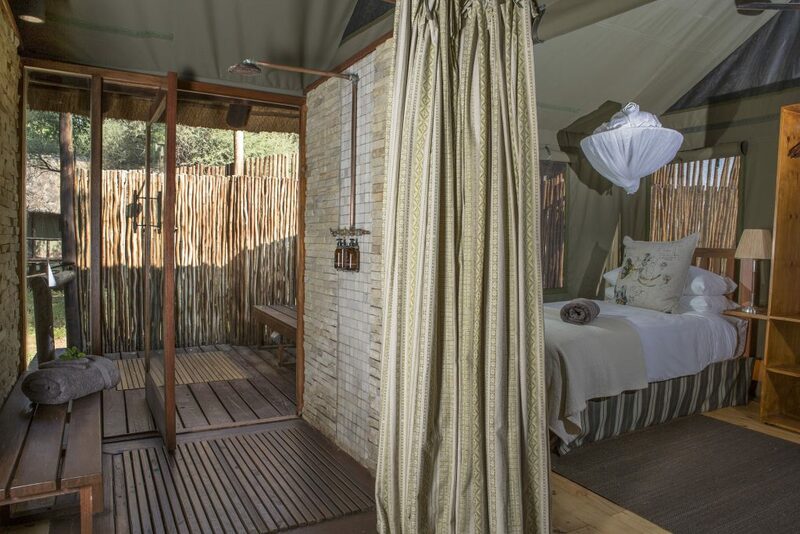 You will spend the night in luxury safari tents at Pafuri Camp on a full inclusive basis. 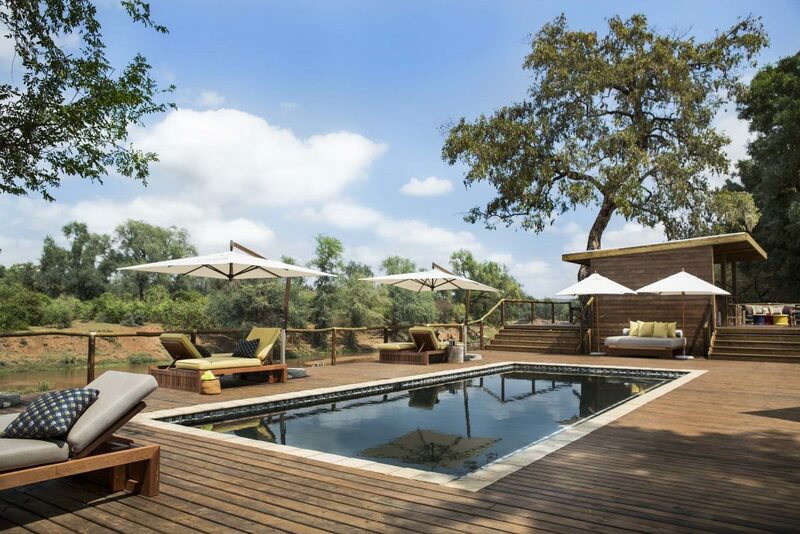 This gives you time to enjoy a little bit of luxury after your walking trailThe tour ends back at Pafuri Camp in the early afternoon. 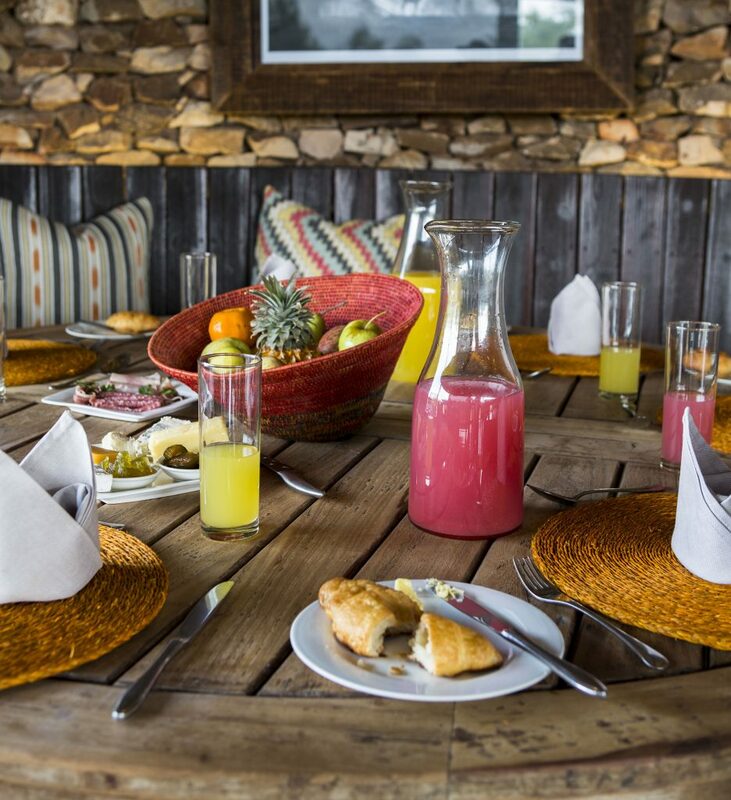 After your final early morning game drive and a sumptuous breakfast the safari ends.